Windows XP: it's quite old now. There are two kinds of old things. There are great old things, such as vintage wines, fine brandies or twinkly-eyed grandparents. And there are old things that really ought to retire, such as U2 and Windows XP. Microsoft's operating system hit the shops ten years ago today, and it's still in widespread use: according to Net Applications, Windows XP's market share only dipped below 50 per cent this August. Tech years are like dog years, which means a ten-year-old OS is seventy in human terms. If OSes were musicians, half of us would be rocking out to the sounds of Vera Lynn. There are several reasons for Windows XP's ongoing popularity. One, it runs very well on very modest hardware: the minimum spec is a 233MHz processor with 64MB of RAM. I'm pretty sure my toaster has more power than that. Two, corporates haven't been particularly fast at upgrading - my colleague Dan Grabham's corporate PC is finally getting upgraded from Windows XP to Windows 7 today, a mere two years since the newer OS was released. When it launched, Windows XP was brilliant. It looked cool and modern compared to Windows 95, 98 and - yikes! 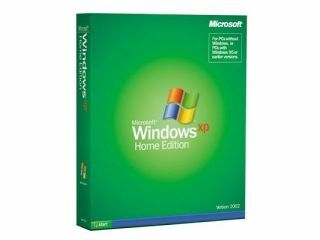 - Windows Me, and it introduced a whole bunch of important improvements. Windows Explorer was overhauled, the system was made much more reliable, driver support was massively improved, ClearType improved legibility for incoming LCD displays, the networking was beefed up, security was tightened, the graphics system was improved... upgrading to XP was a big deal. Over time, though, XP became a target. Windows XP hit the mass market just as everyone began to embrace broadband, and those constantly-connected computers - many of them unprotected - were a tempting target for malware writers. Security became an ongoing problem, but unfortunately many users didn't care. If you work in IT or get roped into tech support by family or friends, you'll know the joys of trying to fix a malware-stuffed XP PC that should have been boiled for glue five years ago. Vista should have helped by persuading everyone to upgrade, but it fell flat. It was slower than XP, required much more demanding hardware than XP, and didn't run at all on the new-fangled netbooks that were starting to appear. Consumers and corporates stuck with XP, while Netbook firms plumped for Linux. I understand the lack of enthusiasm for upgrading from XP, but Vista was a long time ago - and despite its flaws, it was much more secure than its predecessor. Since then we've got Windows 7, which is an excellent OS, and it's even more secure than Vista was. Meanwhile Microsoft is withdrawing support and stopping patches for pensionable versions of its older OSes - support for the original XP was canned in 2004, support for SP1 went in 2006 and SP2 stopped being supported in 2010 - which means users of pre-SP3 versions are increasingly vulnerable to attack. Conserving PCs is great, but there comes a point where old OSes become a liability: websites don't work properly, software stops being supported and tasks that take two clicks in more recent products take an eternity. If you're running XP happily, keeping it patched and prolonging the life of an old PC then that's admirable. Just don't ask us to fix it when we come to visit.